Atletico Madrid managed to finish inside La Liga's top three for the sixth successive season this year and qualify for the Champions League. Despite European silverware in a Europa League title, it's been a year which has produced mixed performances and results for Diego Simeone's side - especially outside of Spain. 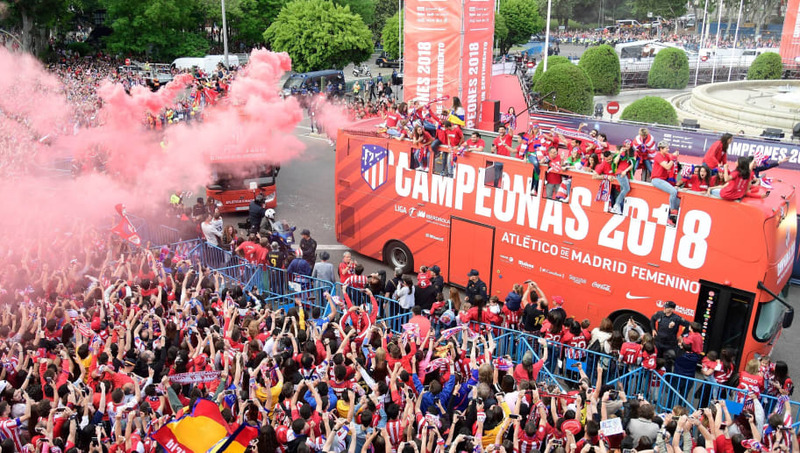 So, following the conclusion of the 2017/18 Spanish campaign, here is a look back at Los Colchoneros' season. 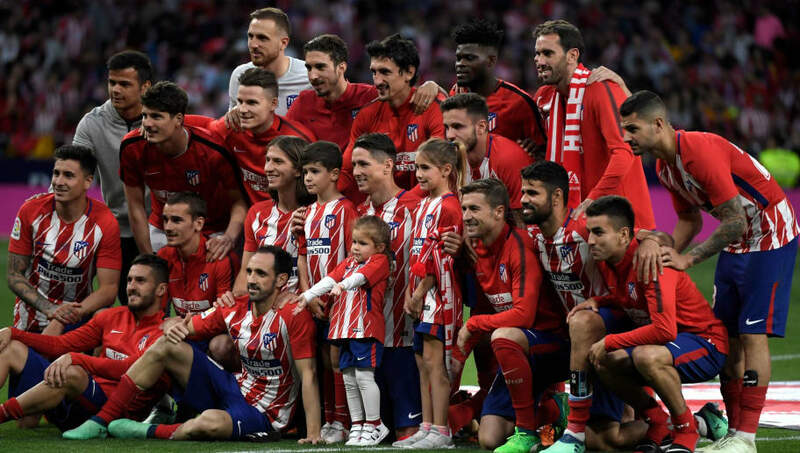 Atletico finished the season in second place with 79 points, three more than third-placed Real Madrid but 14 less than La Liga champions Barcelona. With Real struggling domestically, Los Colchoneros provided the only real threat to Barcelona's title challenge for much of the season. However, a 1-0 defeat to Barca in March left them eight points behind Ernesto Valverde's side, and Atletico's league form did falter from thereafter. Nevertheless, despite Los Blancos' late fightback, Simeone's side held on to finish ahead of their big-spending rivals for only the second time since the 2013/14 season. Atletico made it to the quarter-finals of the Copa del Rey where they were knocked out by Sevilla 3-1 on aggregate. They had beaten Second Division B sides Elche and Lleida in the round of 32 and round of 16, but their defeat to Los Hispalenses was a massive disappointment which followed their shock Champions League exit and a 1-1 draw to Barcelona which left them 11 points behind the table-toppers. 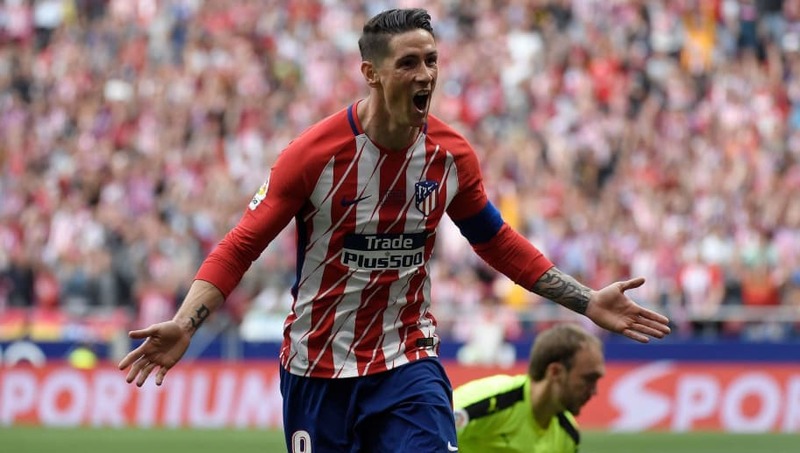 Atletico stuck three goals past Marseille at the Stade de Lyon to claim their third Europa League trophy - the joint-most with league rivals Sevilla. 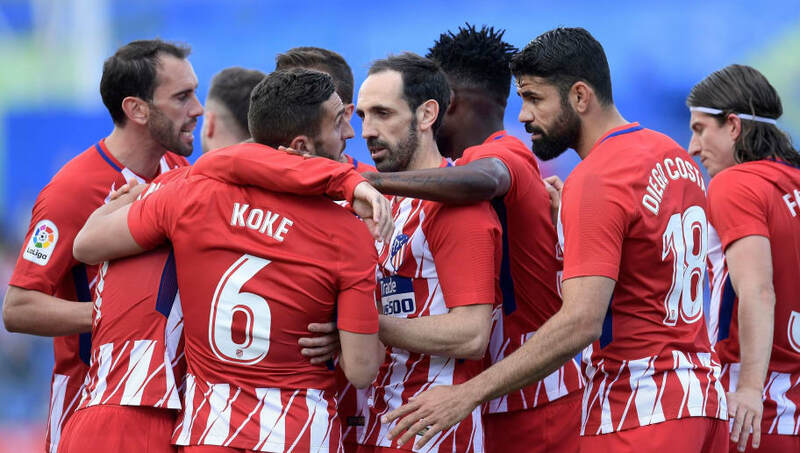 European silverware can never be underestimated, but when a club as big as Atletico are playing in Europe's secondary club tournament instead of the first, some questions do need to be asked. Indeed, Los Colchoneros only qualified for the Europa League after failing to finish ahead of Roma and Chelsea in the Champions League, and they managed to win just one of their six games in the competition. 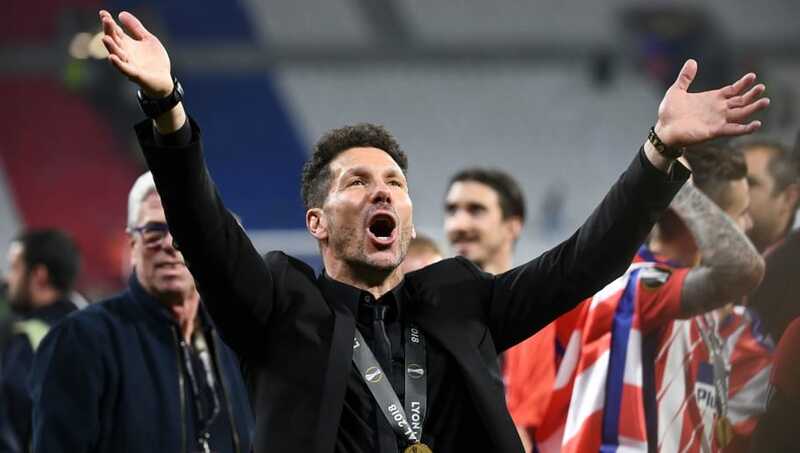 Diego Simeone's side have made it to the Champions League final on two occasions in the past five seasons only to lose to rivals Real Madrid, so this year's trophy has to be viewed as a European triumph, albeit on a lesser scale. 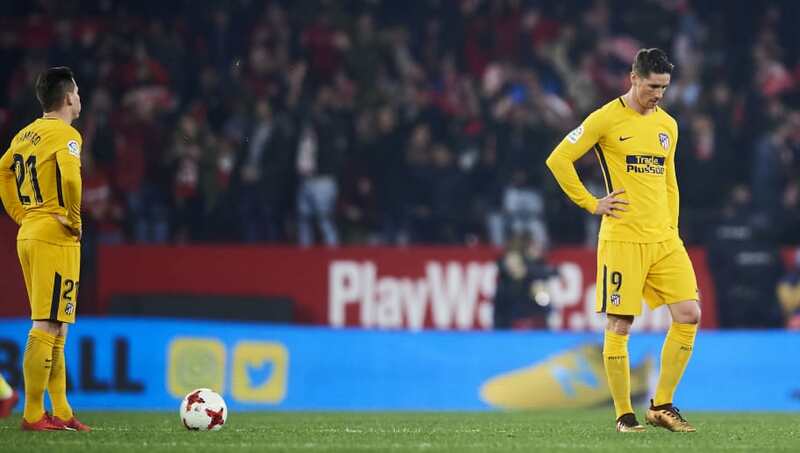 Antoine Griezmann finished the season as Atletico's top scorer for the fourth year in a row, and the 27-year-old has, unsurprisingly, once again been a stand out performer for Simeone's side. In total, the French international has registered 29 goals and 13 assists in 47 appearances across all competitions. In comparison, Atletico's next top scorer is Kevin Gameiro with just ten goals and two assists. Slovenian stopper Jan Oblak and Uruguayan centre back Diego Godin are also worthy contenders. Vitolo signed for Atletico from Sevilla in the summer but, due to the club's transfer ban, wasn't able to feature for the club until January. He spent the first half of the season with Las Palmas, who finished the season in 19th place, but managed to make just nine appearances for La Union Deportiva. Since returning to Madrid, the versatile midfielder has failed to establish himself in the starting lineup having made just eight La Liga starts. The Spain international will hope to settle in with his new club over the summer. The passionate Argentine took charge of Atletico for the seventh season since he first joined the club in 2011. He has once again masterminded Los Colchoneros' Champions League qualification, and secured his second Europa League title with the club. His temperament has been somewhat questionable, however, and he has been made to apologise for his behaviour on a number of occasions this year - most notably in the Copa del Rey and the Europa League. 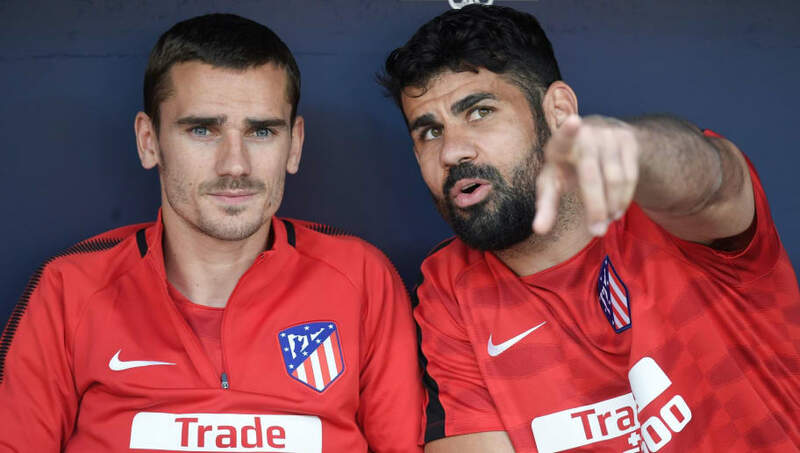 Nevertheless, the former Atletico midfielder is still being linked with some of the biggest jobs in Europe, which is a testament to his conistent managing exploits. Domestically, it has been a relatively successful season despite the lack of silverware. The club's main aim in the league would have been to secure qualification for the Champions League, a feat which was achieved with relative comfort. Atletico did triumph in the Europa League, but their opportunity to do so was a result of their failure in the Champions League. Their group didn't consist of any 'big hitters' and failing to beat Azerbaijani side Qarabag across two legs has to be accepted as a massive disappointment. Considering their status, Europa League success wasn't an overachievement, but Champions League failure was an underachievement.